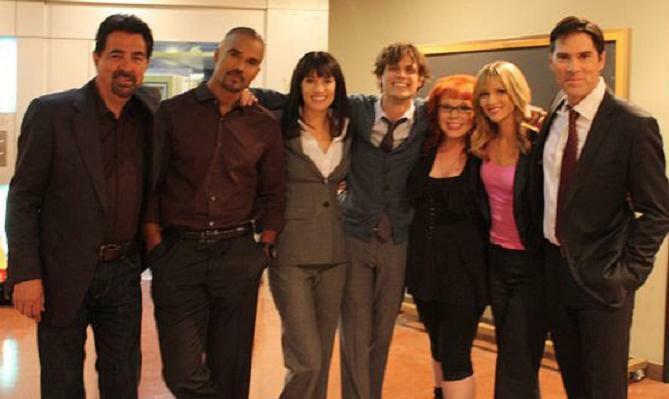 DEADLINE/HOLLYWOOD is reporting that CBS is planning to trim the cast of CRIMINAL MINDS in Season 6. Seen as a male centered program, stars Joe Mantegna, SHEMAR MOORE, Thomas Gibson, and Matthew Gray Gubler will remain. The lone female will be fan favorite, Kirsten Vangsness. Paget Brewster may appear in a limited number of episodes, and A.J. Cook's role will be phased out. I love Derek Morgan he is smoking hotttt!